Here's what we started with. 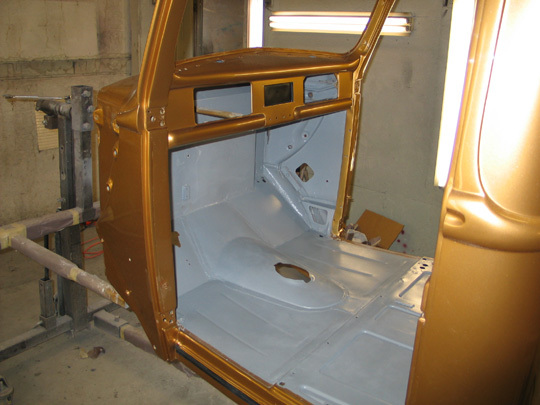 The paint is completely sanded and buffed and the interior has been completely Epoxy Primered. At this point we need to sound deaden the cab and provide insulation from the heat. We have found that the Dynamat products are the best in this area, so we will use Dynamat Extreme, Dynamate Extremeliner and Dynamat TacMat. 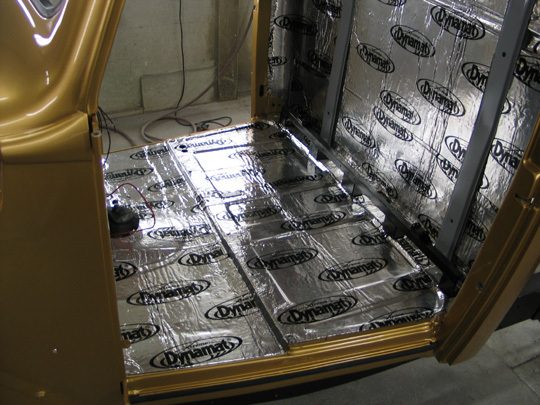 At this point, we have completely covered the cab with the Dynamat Extreme. This product is easy to cut and fit, and you simply peal and stick. The time saved installing easily pays for itself. Initially the cab was very tinny (and loud), but at this point, the cab is now very solid sounding and quiet. A huge difference! 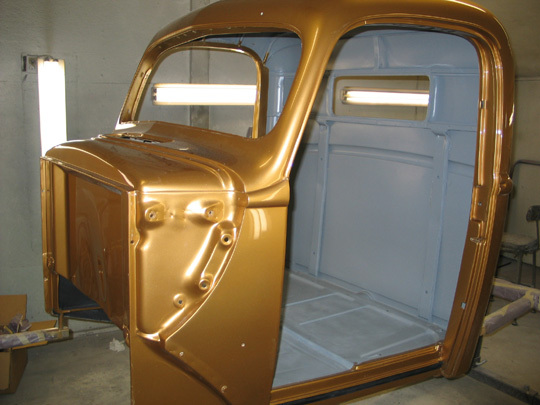 Every area in the cab is covered including the floor, firewall and underside of the cowl. 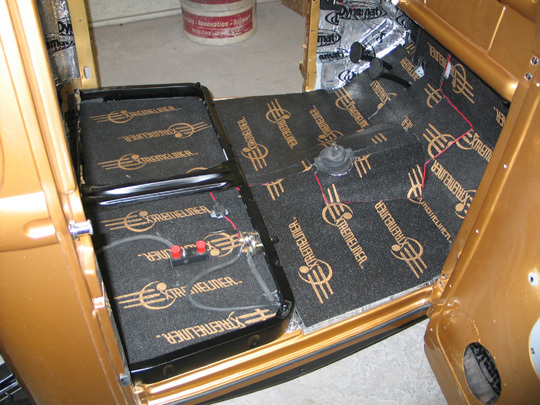 We also did the inside of the doors - this makes a huge difference! 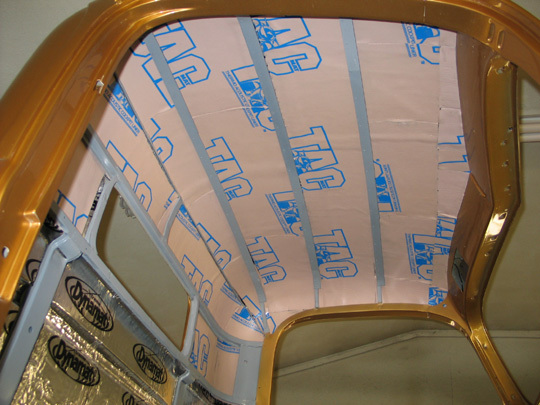 We now installed the TacMat product to the roof of the cab - this provides additional sound deadening along with keeping out the heat. 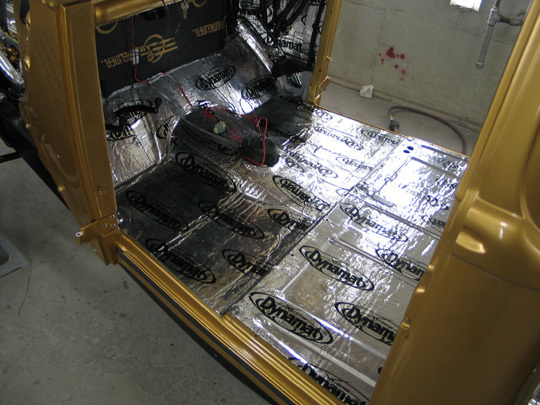 The final item to install is the Dynamat Extremeliner - this product is for the floor and firewall. 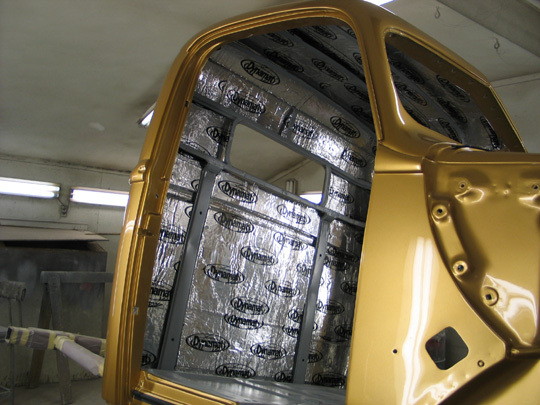 It will provide additional sound deadening and heat shielding. It's also incredibly easy to cut and install. At this point we should have a very quiet and comfortable cab to ride in!